Education: Stephanie has been with AHH/Nightlight since January of 2014, first working in the Domestic Program as the Birth Parent Liaison. She is a graduate of the University of Kentucky with a Bachelor’s Degree in Family Sciences with a Minor in Kinesiology and Health Promotion. In March 2015, Stephanie began working with the international programs in her current position as Adoption Advocate. Stephanie has a heart for orphans and feels honored to play a role in placing children in forever families. 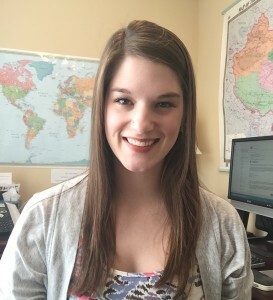 Responsibilities: Stephanie helps coordinate the China, Hong Kong, Uganda, and Albania programs. She is also very passionate about her role as Waiting Child Advocate.